To simplify wiring in cable-to-cable or PCB-to-cable applications, Radiall developed a range of quick mating connectors with a unique slide lock system. These connectors feature the Radiall Touch: one finger mating - in a snap. Quick installation systems and simplified termination features will make connector installation easier. 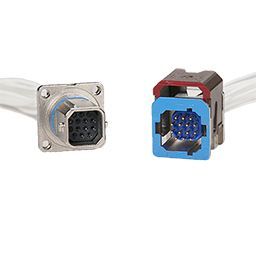 These intuitive QuickMate connectors are also lightweight to answer the industry demands for cost optimization. 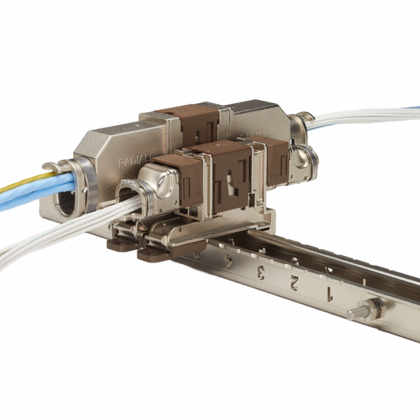 Radiall's strong expertise and complete understanding of rectangular connectors allows Radiall to provide QuickMate connectors which help reduce the overall cost of ownership.